A tour of Long Island is incomplete without visiting its wineries. 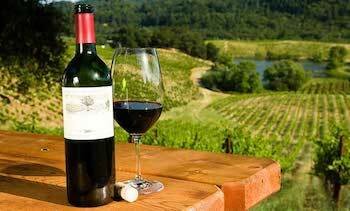 Long Island Limo Wine Tour is #1 choice for taste wineries that you desire. The wineries have everything that you could ask for, from tasty wines to the natural allure. With warm sunshine on your shoulders, the vineyards are most suitable to visit during a warm spring day. A classical heritage, the vineyards in Long Island are must visit for everyone, from wine-lovers to casual travelers. Here are some wineries which you can visit. If you have a list of wineries that you want to visit then Bedell Cellars should be at the top of your list. The winery boasts of having one of the best collections of wines in the country. The cellar is large and spacious and well decorated. It is also adorned with pieces of contemporary art. They also provide a very friendly and efficient staff that will take care of all your needs. You can sit and relax in a comfy porch while enjoying your wine. Among the many tasty wines, the wines by winemaker Richard Olsen Harbich are the finest. There is a patio in the vineyard which provides a spectacular view. To taste some wonderful, sparkling and vintage wine you need to visit the Sparkling Pointe. An enormous winery situated in the Southold of New York it has a classic collection of luscious French wines. The architecture of the place is magnificent, from grand and radiant drinking areas to cushy furniture it has everything that you could ask for. The decorum around the place has a Brazilian touch. The winery is also famous for serving delicious cheese platters. They have a very conscientious and helpful staff. The joint has a unique kind of aura around itself which can be best enjoyed with family and friends. If you are cruising around Long Island then a visit to Sparkling Pointe is indispensable. Another winery in Long Island which is mandatory for everyone is the Lenz Winery at Peconic. One of the oldest wineries in Long Island, the winery specializes in serving top quality wines from around the world. Among different wines, the Cabernet Sauvignon is a rare and light wine. You should not miss the opportunity of dabbling your tongue with this wine. Some other types of wine available are Gewurtztraminer, Chardonnay, and Malbec. Besides wine, the vineyard also has a reputation for serving great quality savory foods to its customers like shrimps and lobster tacos. The corner has a natural elegance that will make your wine drinking experience unforgettable. McCall Wines, this winery is situated in the Cutchogue region of Long Island. This place has a rustic feeling that is different from all other wineries in the country. It is not only a vineyard but also a cattle ranch. The Pinot-Noir wine is luscious wine and is very popular. Around the joint, you could also find some yummy and delicious foods which come at a very reasonable price. The joint also has some steakhouses. Just grab a steak with a bottle of red wine you won’t regret it. They are ready to please their customers with efficient and quality hosts. In short, if you want a complete wine tasting experience then you should definitely come here. The Duck Walk Vineyards can be visited anytime in a year. From summer to winter it is always a reliable destination for drinking wines. Situated at the Water Mill region the vineyard has a classy ambiance around itself. The wines come at an affordable price and what’s more significant are the larger your group the lesser your pocket will burn. They have a gigantic tasting room and the staffs behind the bar are very informative and friendly. Just a plan your trip and visit the Duck Walk Vineyards. Long Island Limo Rental is committed to providing top class service to its customers. When it comes to our drivers and chauffeurs we hire only the best. Our only goal is to satisfy the customers and we have a reputation for doing that. Our limo services are available throughout the Long Island area. We provide secure and extraordinary services around Long Island. You can choose from our varied selection of vehicles as per your requirement. To know more about hiring a vehicle, call our customer care executive.